They're called 'dumpster divers' ICYDK. In the west, where beauty stores like Sephora and Ulta exist, some people wait at the back of these shops for employees to take out the trash. Then, the treasure hunting begins—they carefully open the bags of junk and meticulously look through them to find partially used beauty products that they can still sanitize and use. It's called dumpster diving and it's a very real thing! 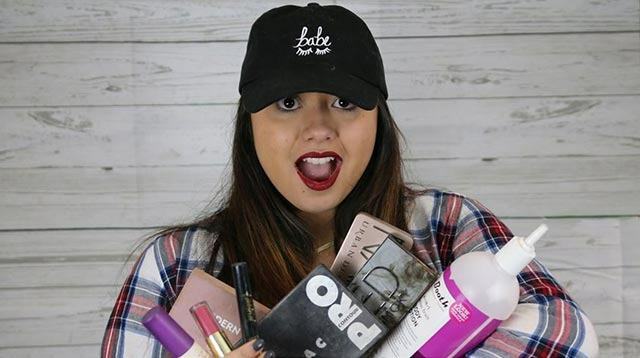 While the phenomenon is nothing new, Broadly reported that popular dumpster diver Shelbizleee loves doing it because it helps reduce waste and it helps her cut down on her makeup spending! Of course, Shelbi doesn't advocate dumpster diving for liquid lipsticks, mascaras, or any other beauty product that could have been contaminated—she said ~*powder-based products*~ are the best since you just need to spray alcohol and clean them up before they're ready to be used again. While it's kind of difficult to try it out here in the Philippines since most beauty stores are inside malls and our garbage is immediately taken by trucks, we still suggest you just go the old-fashioned route and BUY your products. Because even if you can "clean up" the item, you don't really know what other germs and bacteria could have contaminated it while it was smushed up against other trash. BLECH.